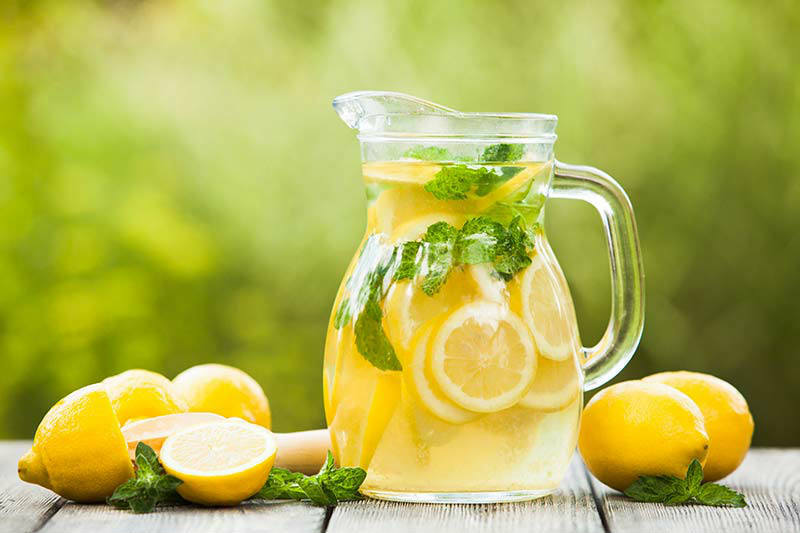 Lemonade diet helps in weight loss and charges the body with vitamin C, refreshes and rejuvenates the skin. It is easy to follow – no need to change the entire lifestyle and to bother by calculating the calories that you enter. The lemonade diet should be followed in a period of two weeks. With a normal diet during this period you can lose about 12 pounds, and if you exclude all kinds of sugar, sweets and bread from your diet, you can reduce your weight for 15 pounds. If it is necessary, the diet may be repeated but with breaks of at least 1 month. During the first day, prepare the lemonade with lemon juice from one freshly squeezed lemon, diluted with 2/3 mineral water. The lemonade must be consumed early in the morning on an empty stomach. After that rinse the mouth with a weak solution of baking soda (1/3 teaspoon baking soda with a half a cup of water) to neutralize the acid and to protect the tooth enamel. During the day the food consumption is common or slightly limited. The only condition is to not eat anything after 7 pm. In the following days every morning the quantity of squeezed lemons increases by 1, up to 6 lemons, the proportion of dilution with mineral water remains the same. After that follows one day break of drinking lemonade in the morning. Mix 3 liters of boiled water with juice of 3 lemons and 3 tablespoons honey. Drink this mixture throughout the day, without consuming any food. From the eighth day on reverse scheme with the lemon juice should be applied, the amount of lemons everyday decreases until it reaches one lemon. The last day of this diet is same as the seventh day. Do not eat anything. Throughout the day only consume the lemonade of 3 liters of boiled water with juice of 3 lemons and 3 tablespoons honey. After this you can continue with your normal lifestyle. Caution! The lemonade diet is not suitable for people with allergies to citrus fruits, and for those who suffer from gastritis or ulcer; they must consult with their doctor.